Trussing is our speciality. 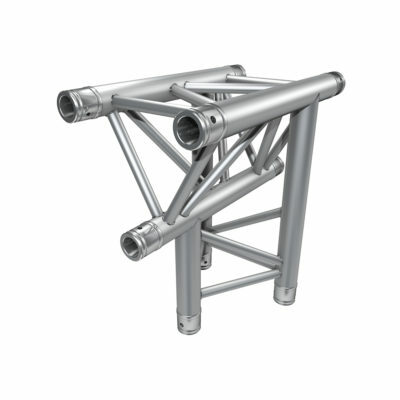 Stage Concepts are suppliers and stockists of the finest aluminium stage truss systems currently being manufactured, from a single pipe, basic Ladder truss, Triangle Truss to heavy duty Square Truss pieces and full Stage Roof Systems. We supply truss from all the major manufacturers such as Milos, Duratruss, Global truss, Alustage and Prolyte, along with our own custom UK truss manufacturing facilities for all the specialist and non standard truss designs we can offer under our SC Pro brand. 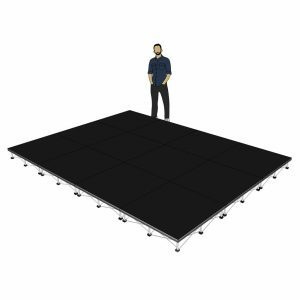 We can advise you through the different grades of stage truss available and the suitability of its usage for whatever your requirement or situation may be, from a lightweight shop truss system to heavy duty industrial stage truss rigging. 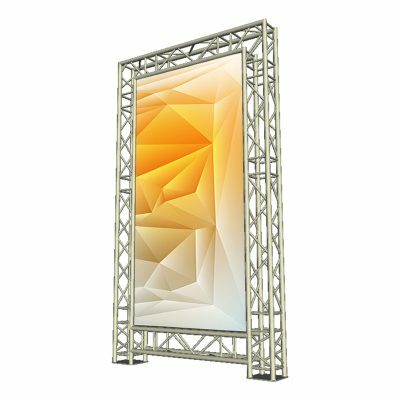 Trussing finds uses in so many industries, it’s simply an invaluable tool for its ability to quickly create a defined area for display which is strong enough to support heavy equipment, and provide secure mounting for curtains and advertising banners. Often hidden away behind screens and drapes, truss is the backbone of theatre and television production due to its flexibility and its ability to be altered quickly on the spot. Truss is found everywhere in our daily lives from fashion catwalks, car showrooms, exhibitions, live events, nightclubs, sporting events and just about every rock and pop stage show ever put on. 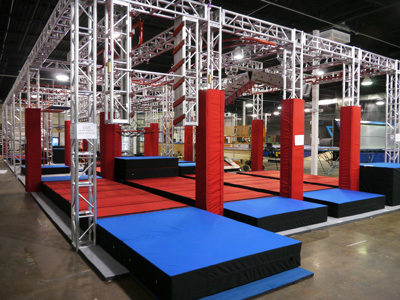 Standard and custom truss joining pieces, corner systems and intersections allow structures to be completely catered to fit your exact needs, be it an elaborate design or one that has to fit into a designated space. We can advise you through the different grades and ratings of truss available and the suitability of its usage for whatever your requirement or situation may be, from a lightweight shop system to heavy duty industrial stage rigging that needs to be capable of supporting hundreds of kilograms worth of lighting and Line Array sound system. Truss is the mainstay of all trade shows and show venues and has been for decades. 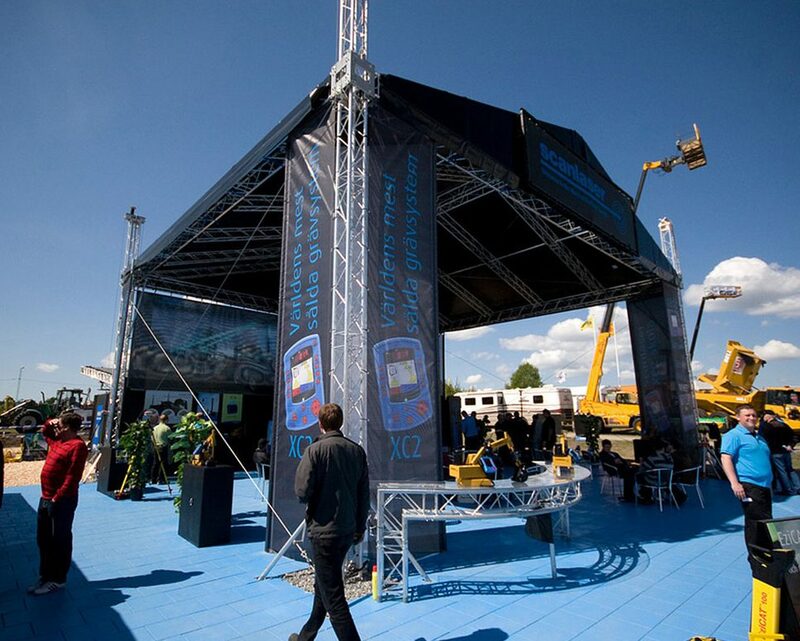 Go to any motor show for example and you will see trussing being used for lighting rigs, for the stands walls and framework, and for the unique angled and platform displays often found from exhibitors. They may hide the framework with wood panelling or fabric, but you can be sure that it’s all truss doing the hard work underneath. 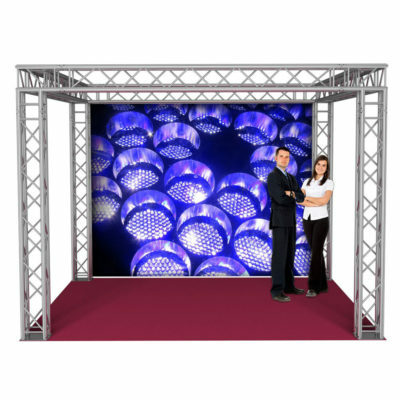 Consumer product shows use truss to create booths and temporary stalls and shop areas, which gives exhibitors a strong framework for attaching shelving, lighting and promotional banners and display items while giving them a defined area of their own.Show organisers can pre build exhibition booths and stands from an exhibitors square footage requirements, which greatly speeds up the put up and takedown times associated with putting on large floor based shows and exhibitions. 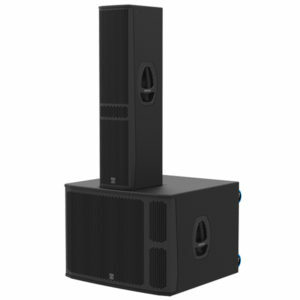 Our range of pre-packaged booth and stand systems are perfect for both private and rental purposes as well as installers. 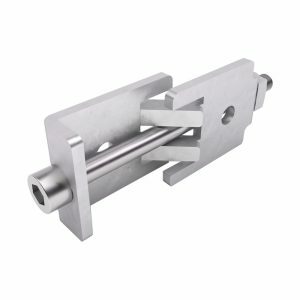 As with all our Truss based systems, they use standard fixture and fittings and tube specifications, so can be added to easily with either off the shelf pieces or whatever custom shapes you may need. 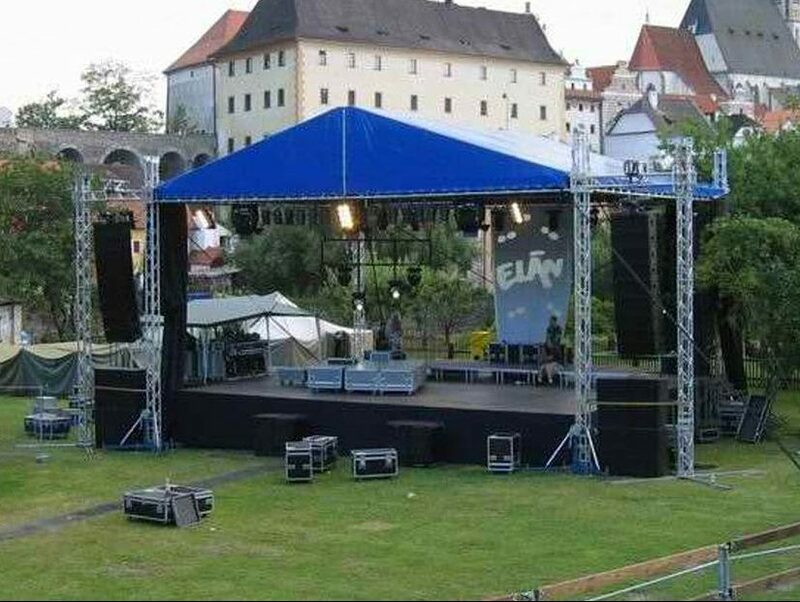 Stage shows and live music events use truss extensively in all areas of their construction and production as it really is the perfect system for both ease of use and its functionality. 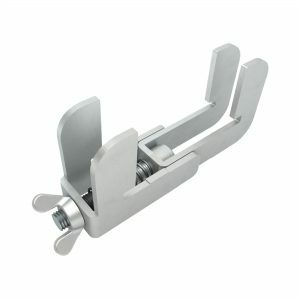 Immense structural rigidity and load bearing along with its easily altered layout gives riggers and installers the flexibility they need. 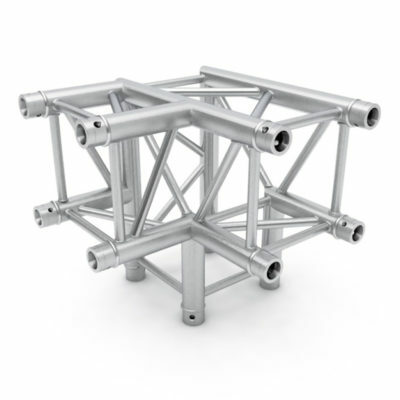 Simple bolt and spigot fixings make build times fast and easy requiring minimal tools, and the aluminium construction means even the largest truss sections are relatively lightweight so can be transported and lifted with just a small crew. The modular nature of a truss system means sections can easily be added or removed to alter rig height and width on the spot very easily, which gives the stage builders the flexibility they need as every arena or stadium is slightly different in its layout and requirements. 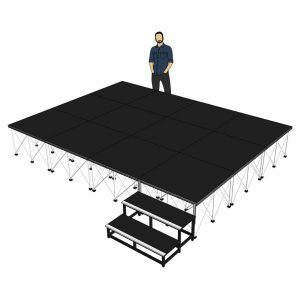 The specialist arena stage roofing systems from Milos are designed specifically for the flying of speaker and lighting rigs, and for the additional stage wings and structures that are required for large all weather stage events. 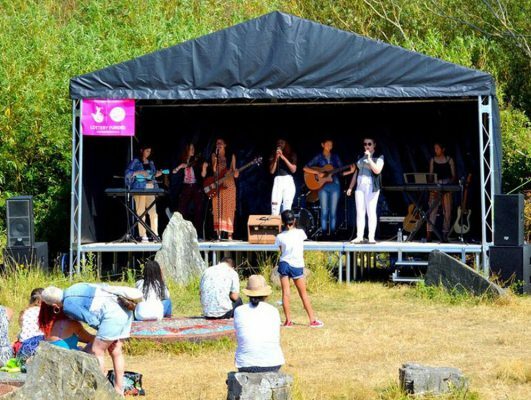 The classic festival stages of Glastonbury and Reading for example are Milos arched roof systems, and for super sized structures they are still the industry leader. We are thrilled to offer the fantastic roof systems from Alustage, which give amazing levels of performance and durability whilst remaining at a price point that puts them in reach of smaller companies for private use and rentals. Fully TUV safety and Eurocode compliant, the products that Alustage produce are of the very highest quality available anywhere in the world and will give years of trouble free service. Stage Concepts also have our own range of stage roof systems available, produced to order here in the UK at our facility under our SC Pro branding. These systems are aimed at light to medium duty usage and were put together to provide a complete roof package at the very best price point for a system of that type. Our SC Pro 6m x 4m stage roof package is the cheapest in the UK for a fully featured system that comes complete with canopy, sides and all fixtures, utilising T6 grade aluminium castelated ladder truss with the Penn-Elcom style bolt fixing system for fast build times. Army style obstacle or ‘assault’ courses have gained huge popularity in the last 5 years with television shows such as ‘American Ninja Warrior’ taking up the mantle left from the ‘Gladiators’ style shows of the 1990s. These are endurance based obstacle and climbing frame based events which utilise all the different varieties of truss design and systems available to create their elaborate courses, some ground based and some aerial based depending on the nature of the event. 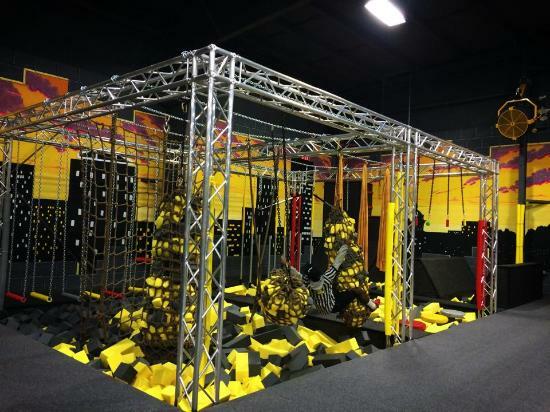 Truss lends itself perfectly to this requirement as its strength and easy customisation allows the course designers to have relative free reign over the angles and overall length of the obstacles framework sections. 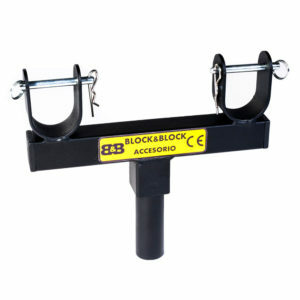 Its open sided ladder frame construction also allows lighting to penetrate and helps greatly with visibility from all angles, which is especially helpful for television and audience purposes. Obstacle courses have also found a new lease of life for the extremely popular ‘Mud run’ events made famous by companies such as Tough Mudder in the UK. 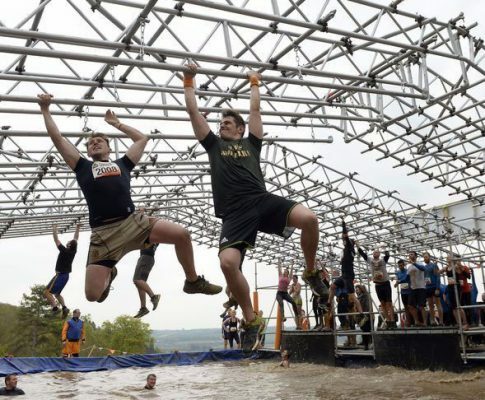 Also called xtreme runs, adult obstacle courses, mud races and endurance events, they have found a huge audience from charity raising to corporate team building, and for individuals and groups of friends that enjoy challenging themselves. 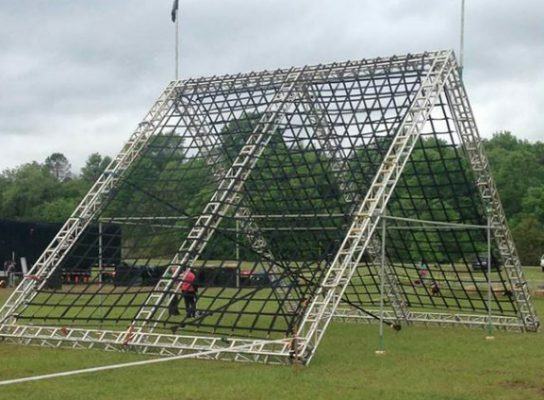 Based on army and special forces training course designs, the traditional wooden framed systems are extremely heavy and expensive, so do not lend themselves well at all to the mobile nature of these events. 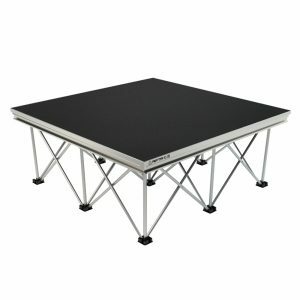 Trussing is the perfect alternative as its strength and durability combined with light weight means it can be transported easily from location to location and the configuration can be altered quickly to suit the available ground. Its aluminium construction ensures it won’t rust or rot, and it can be easily washed off for transport after an event. 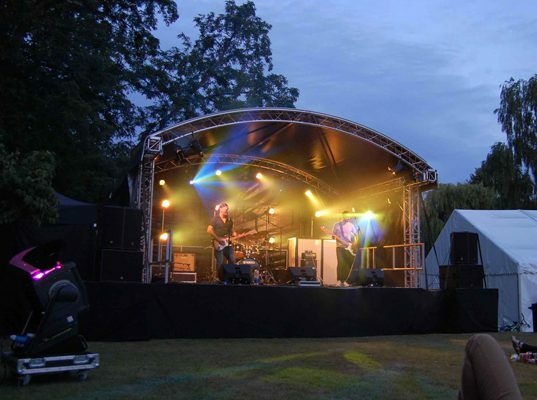 Stage Concepts offer a fully bespoke solution to all your Truss needs, supplied under our SC Pro brand. Sometimes, you just can’t get what you want off the shelf. The major manufactures all offer a wide selection of lengths and types of truss, but it does generally follow a standard. Sections will be in equal divisional lengths for ease of use, so half meter, 1 m, 1.5m, 2m etc etc, which for most needs will be fine. 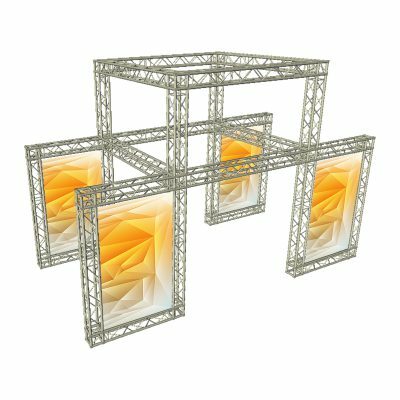 For a custom fit, an awkward corner, odd height ceiling or whatever you may have, the standard sizes of truss section just aren’t going to be right to get the look you want or to make maximum use of the available space. 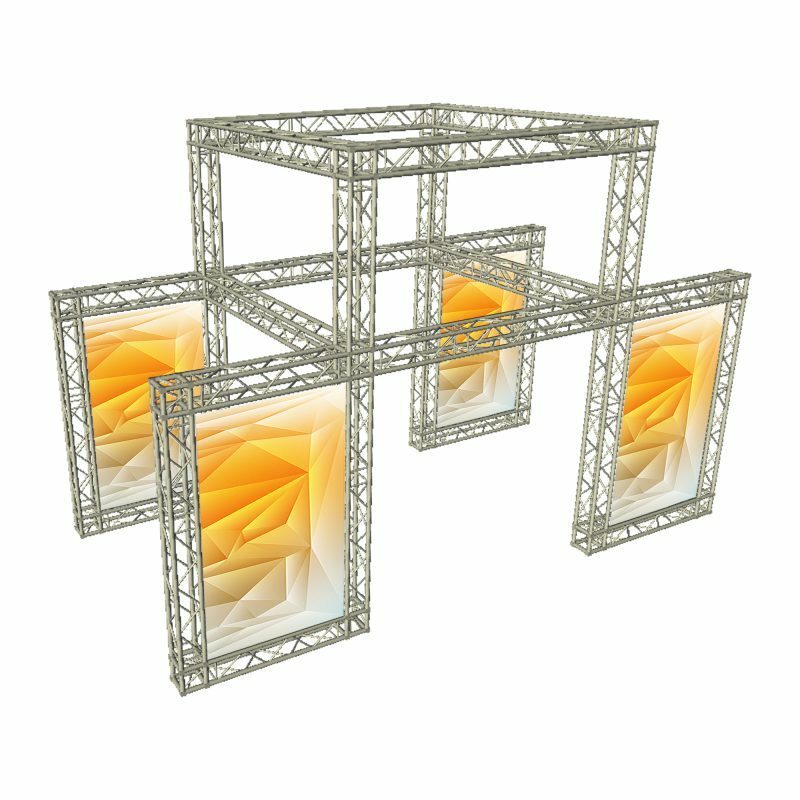 Working closely with you or your designers, Stage Concepts are able to manufacture truss to any desired specification you require. Odd shapes, unequal lengths, multi-way joiners and custom footings and base plates, giving you a far less restrictive avenue than if you just ‘make do’ with standard pieces. 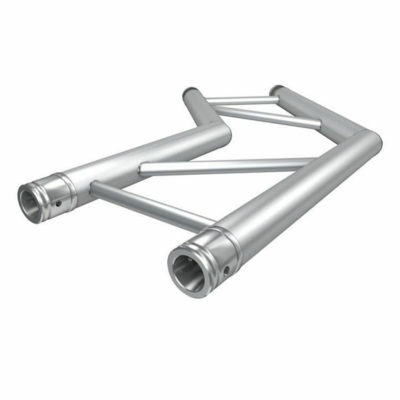 Your system can be finished in a variety of powdercoat and anodised options, as can any clamps and fixtures, and can be ordered in several grades of tubing depending on how heavy duty you may need it to be. Utilising a 3D cad design service, we are able to share a visual mock up of your design with you during the ordering stage, showing you what the finished system will look like when built which often helps identify any possible problem areas or unnecessary adornments before any metalwork gets underway, helping to save time and costs that can come with post-fabrication decision changes. To ease in the construction of larger trussing systems, especially stage or roofed packages, we offer a range of specialist lifting towers, winch stands and both manual and electric chain hoists to aid in the raising and locating of cross sections and arch pieces. Using a professional lifting system obviously increases the safety aspect of any build, but also means that a much smaller team is required for construction. It also speeds up the build process enormously saving both time and money. 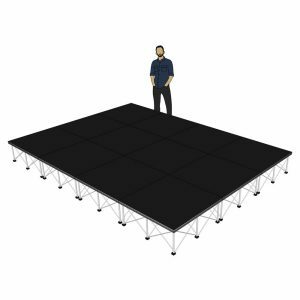 The lifting tower units from Fenix are able to function as permanent platforms should you wish to use them in place of truss uprights. 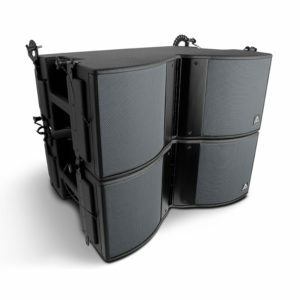 They are also available in ultra heavy duty versions for raising gantries and heavy components such as line array speaker systems, and have a huge lifting height of up to 8m, meaning safe and stable raising and lowering of all equipment in virtually all possible situations. 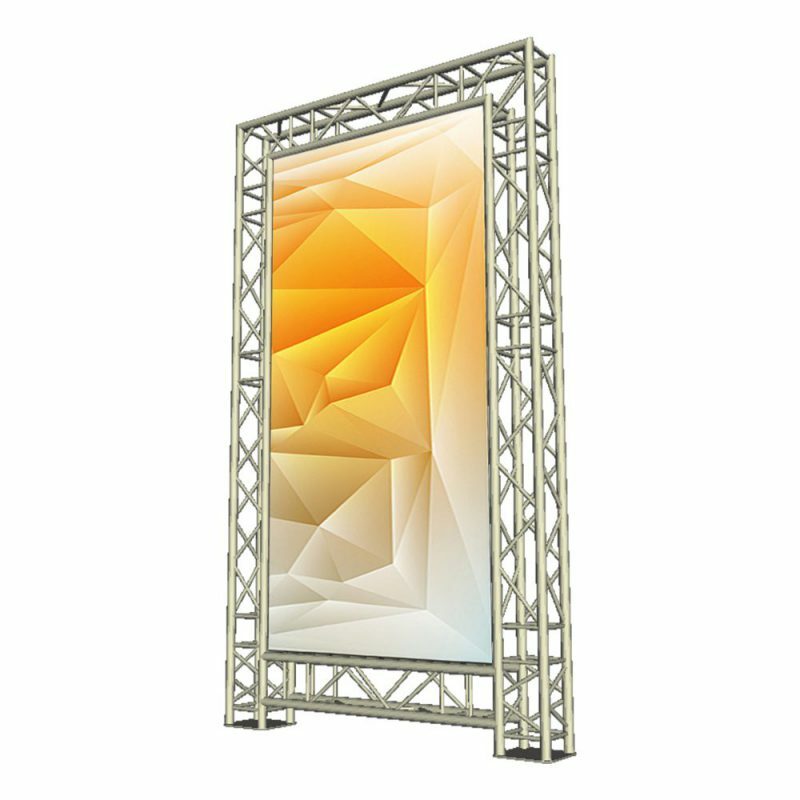 An important part of trussing systems, especially when used for trade shows and live performances is to have fitted fabric curtains, drapes or sidewalls, which can be used as blackout screens, light or projection panels, or can be custom printed for large banners or advertisements. 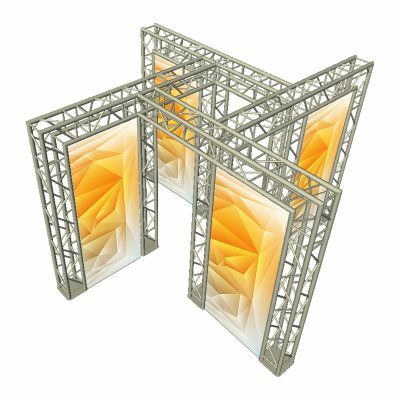 Trade show booths will often use fabric panels or side curtains to separate themselves off from the booth next to them or from a walkway. 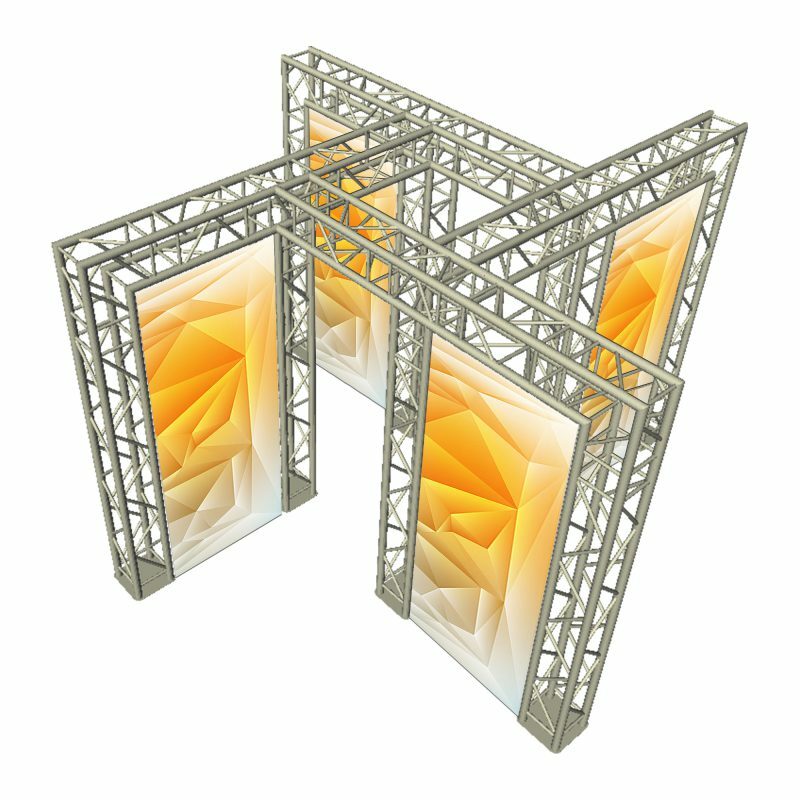 They can be pulled taught between the corner truss uprights creating a ‘wall’ which stops people drifting through the stand or walking behind a point of sale area. Use of fabric sides and roof section also helps contain any light sources you may be producing, both from an exhibition stand or a live music stage, so helps allow the use of effects and display screens during daylight or when in a heavily lit building. As with our Trussing, we stock both standard dimensioned drape and molton flock fabrics of various colours, or can order custom sized sections to fit your requirements. Vinyl material can be supplied for waterproof outdoor purposes and can be ordered with custom coloured digital printing to one or both sides for branding or sponsorship purposes. Taken at the high tech Alustage production facility, all Trussing is manufactured to precise tolerances on the latest CNC and balancing machinery using only the finest grade T6 aluminium, built to exceed all the required certification for quality and safety.